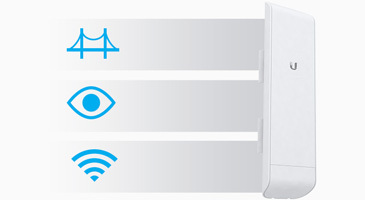 The NanoStation®M can be deployed for Point-to-Point (PtP) bridging, wireless connectivity to a video surveillance system, or use as an airMAX® CPE. 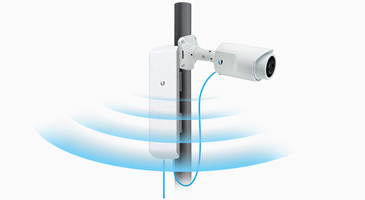 With software-enabled PoE output, the secondary Ethernet port can power an external device, such as a PoE security camera, for seamless IP video integration. 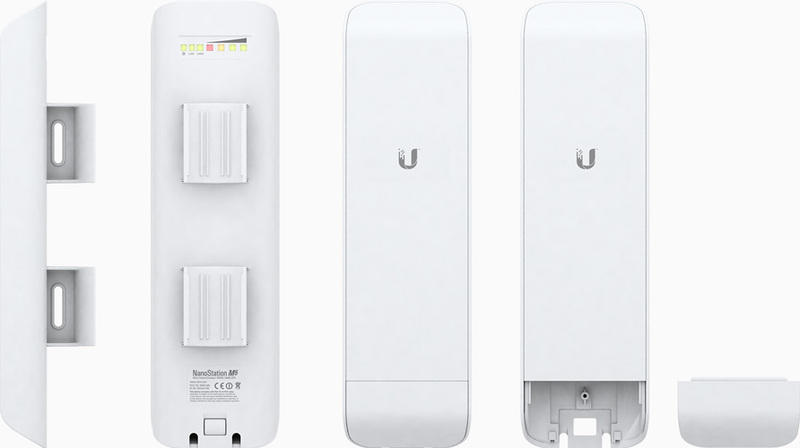 Ubiquiti’s versatile airOS® firmware technology enables high-performance, outdoor multi-point networking. 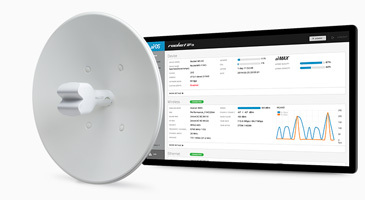 airOS provides features such as wireless settings, bridge or routing configuration and system management services.